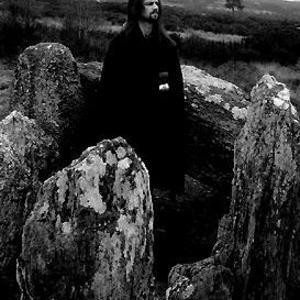 Belenos was brought to life in Northern France (Nord-Pas-de-Calais) back in 1995 as a celtic pagan metal band. The original line-up of Belenos consisted of Lo?c (guitar, bass, vocals, programming) and Nathalie (guitar, lyrics). The first recording "Notre Amour Eternel" was recorded in May 1996. This demo sold more than 260 copies. The Italian label Polyphemus Records proposed an re-edition of the demo on CD limited to 500 copies. The re-release was released 18 months later, in March 1998. "Triste Pensee" was recorded in August 1997. This second recording got the attention of a couple of labels but nothing serious became of it. Nathalie left the band at the end of 1997. "Allegorie D'Une Souffrance" was recorded on March 1998. At this time Belenos was composed only by Lo?c as the sole master. This demo also remains unreleased. At the end of 1998 there was an important change, Belenos finally became a complete band with the arrival of Denis Sokowicz on drums, Rapha?l Fontaine on guitar and Yann Desaulty on bass. "Allegorie D'Une Souffrance" was re-mixed in December 1998 and released with a colour inlay card which finally revealed the true visual side of Belenos, a new logo designed by Dahl, the usage of Celtic symbols and a coherent and reflective image. The reviews were all excellent and became almost trite! In spring 1999, the underground label Impaler Of Trendies (France) re-edited and released "Triste Pensee" on tape and was limited to 400 copies. This demo was released almost 2 years after it was recorded! The first live appearances took place in Lille, October 1999 in front of 500 metal-heads as opening act for Marduk and Enthroned. "Errances Oniriques" promo tape was recorded on December 1999 and mixed in March 2000 with a much more powerful sound and the usage of real drums, this third album went much further than the earlier recordings in every sense! Yann Desaulty was replaced on bass by David Foulon, in the same time Rapha?l left the band due to a lack of motivation but remains a good friend and co-writer of Belenos. On August 2000, the French label Sacral Productions signed the band for the release of "Errances Oniriques", this first full-length album was recorded at NRVN studio and mixed at Nymbostratus studio. The album was released on February 2001 and got very good responses... Denis Sokowicz was fired and was replaced on drums by Marc Devillers. After a couple of gigs in France, the band recorded the new album "Spicilege" on winter/spring of 2002. This album was out in Summer 2002 still on Sacral Productions. In the same time Belenos recruited a better drummer in the name of Gilles Delecroix who was also the drummer of Gronibard and later of death metal gods Aborted. On September 2002, Belenos took part on the "From The Past " tour with Neh&euml;mah and Blodsrit, a lot of gigs were done from early 2003 to early 2004. On Winter 2004: Sacral Productions released the demo re-edition "L'ancien Temps" as a double CD in digisleeve format. On Summer 2004, Lo?c due to personnal reasons moved to the most western part of France (Brittany) which meant in other words the end of Belenos as a band "performing gigs". On Early 2005, the new album entitled "Chants De Bataille" on which Lo?c worked since 2002, stagnated during months, Sacral productions which had to release the album close up shop, finally French label Adipocere records release the album on early 2006 and the album got a lot of positive reviews. On Summer 2007, "Chemins De Souffrance" was re-recorded and re-mixed, and was released by Northern Silence Productions.